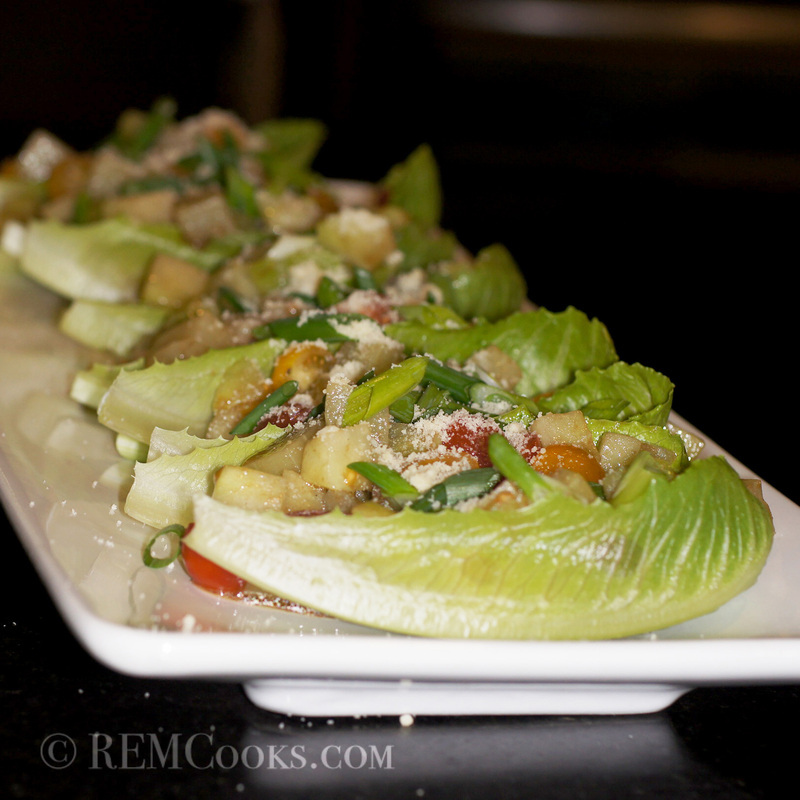 Here is a beautiful, simple salad that is fit for company but that your family will enjoy. This is our spin on a Rick Bayless Mexican Salad that we served with Braised Pork Loin with Tomatillo Salsa Verde and Potatoes. It really was delightful and the star of the meal. 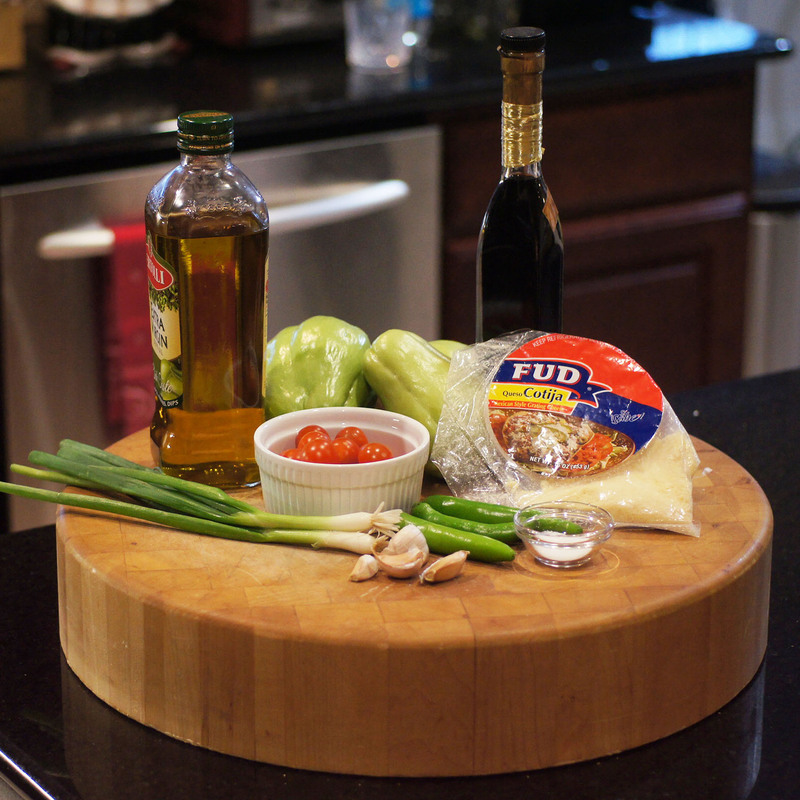 When we typically make dinner, the entree is the star of the show. 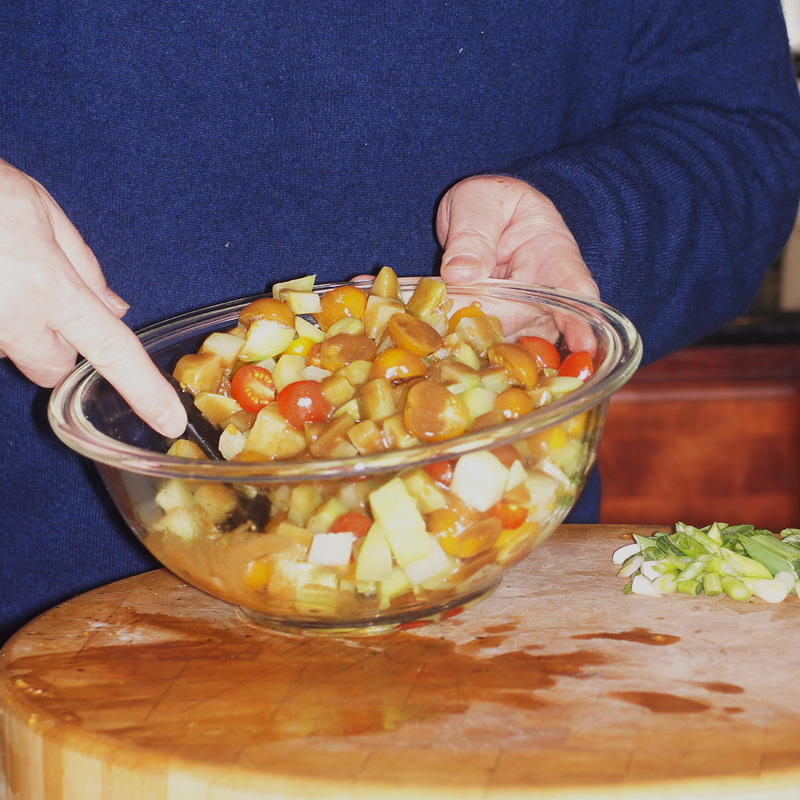 It generally takes considerably longer to prepare, has more thought going into it and is the part of the meal that everyone one looks forward to eating. Every now and then, however, one of the upstart sides steals the show. 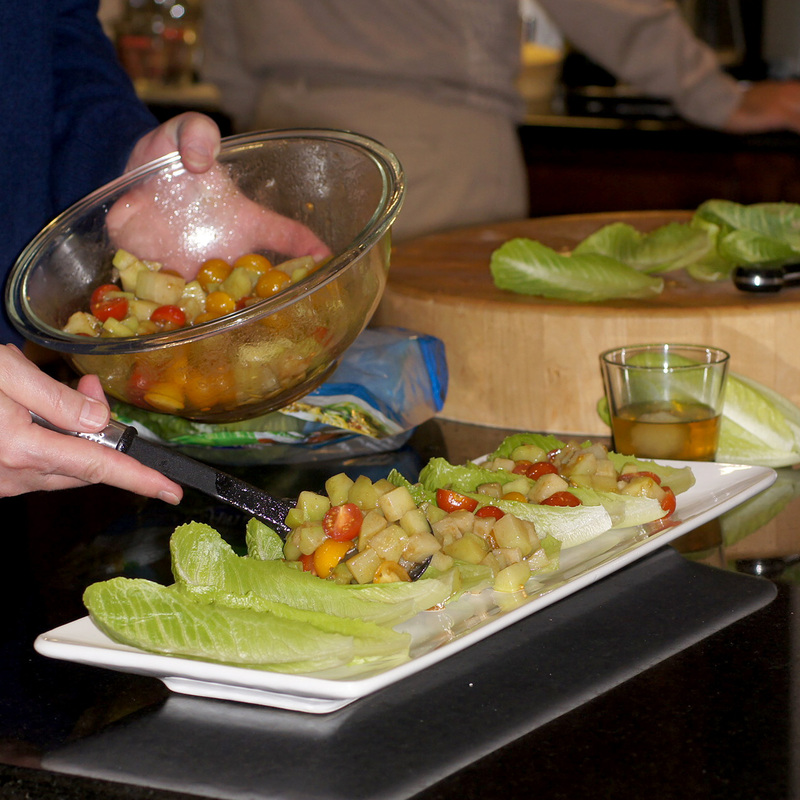 That was the case this salad. 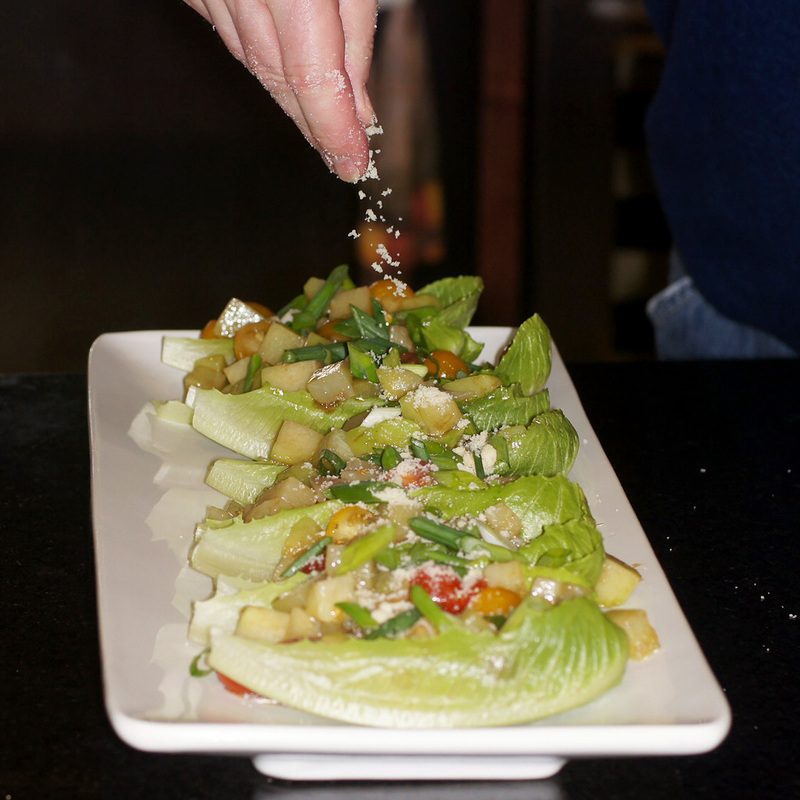 Now for those of you unfamiliar, chayote (aka vegetable pear) is a Mexican squash dating back to Aztec cuisine. It has a pear-like shape, generally pale lime green color with deep linear indentations along the fruit’s thin skin that meet at its flower end. The fruit has a creamy white hued flesh with a semi-crisp texture and its central core contains a small pit. Like the cucumber (a distinct cousin), chayote has very little flavor thus allowing it to be a carrier sponge of a dish’s other accompanying ingredients’ flavors. 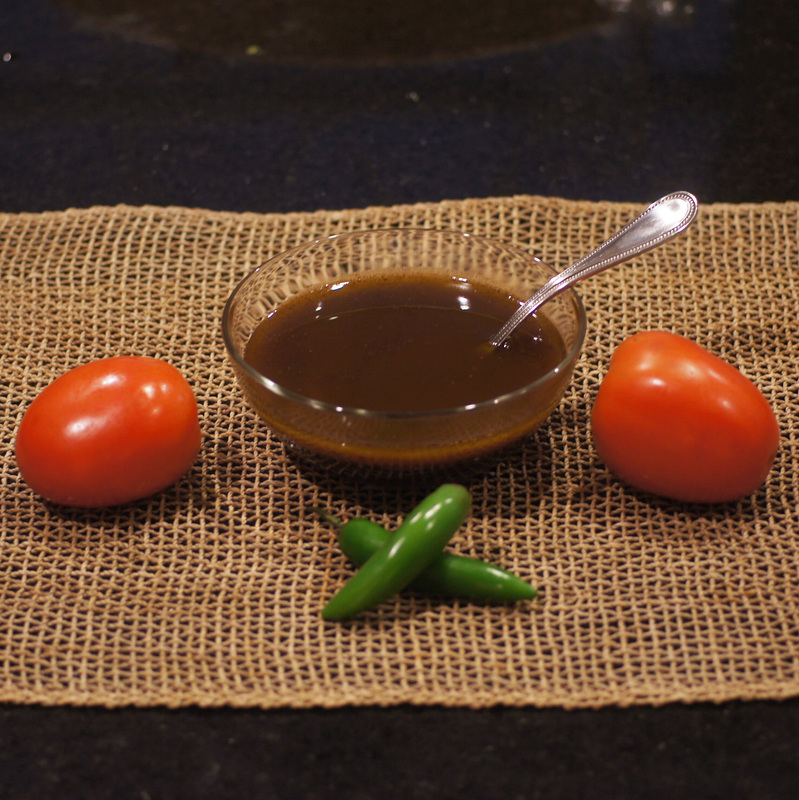 It is this character as well as its texture that defines its uses in culinary applications. 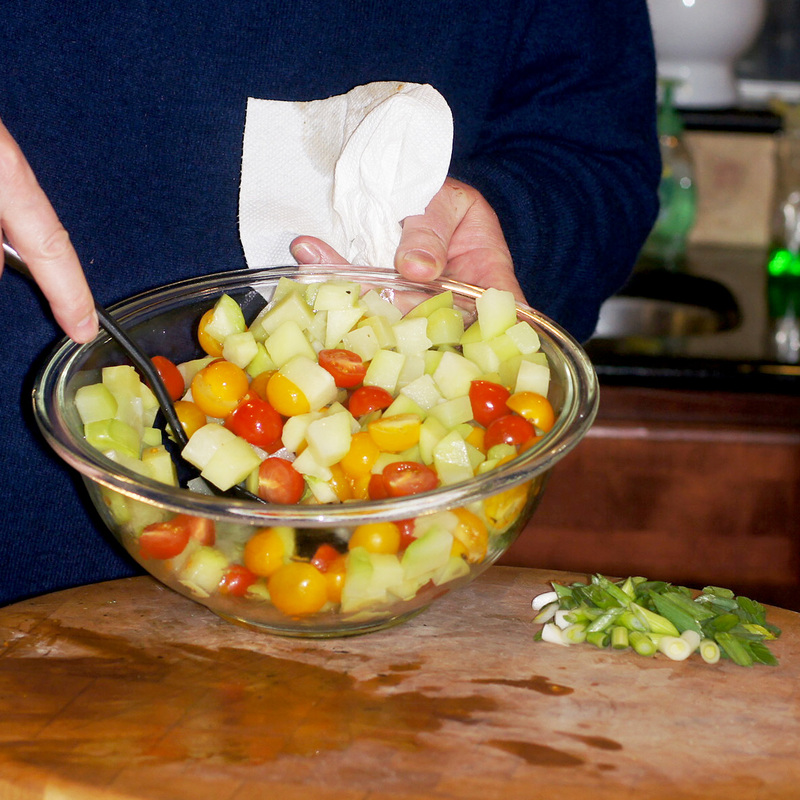 In this salad, you have a cucumber/mild melon like flavor with a semi-crisp texture that acts as the perfect foil for the roasted serrano, garlic, balsamic vinaigrette. 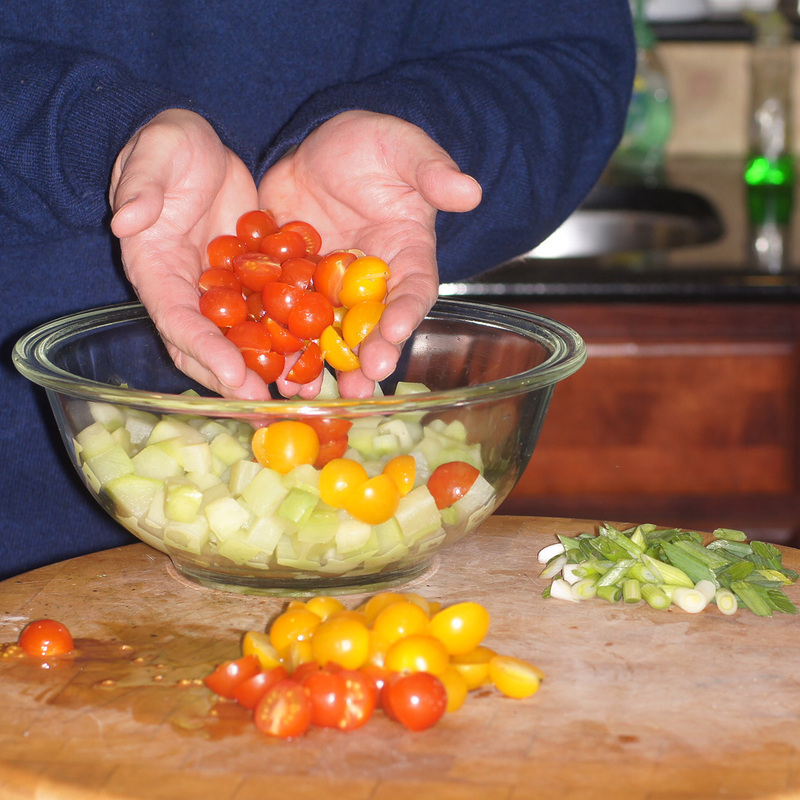 It plays well with the cherry tomatoes, lettuce and green onions. 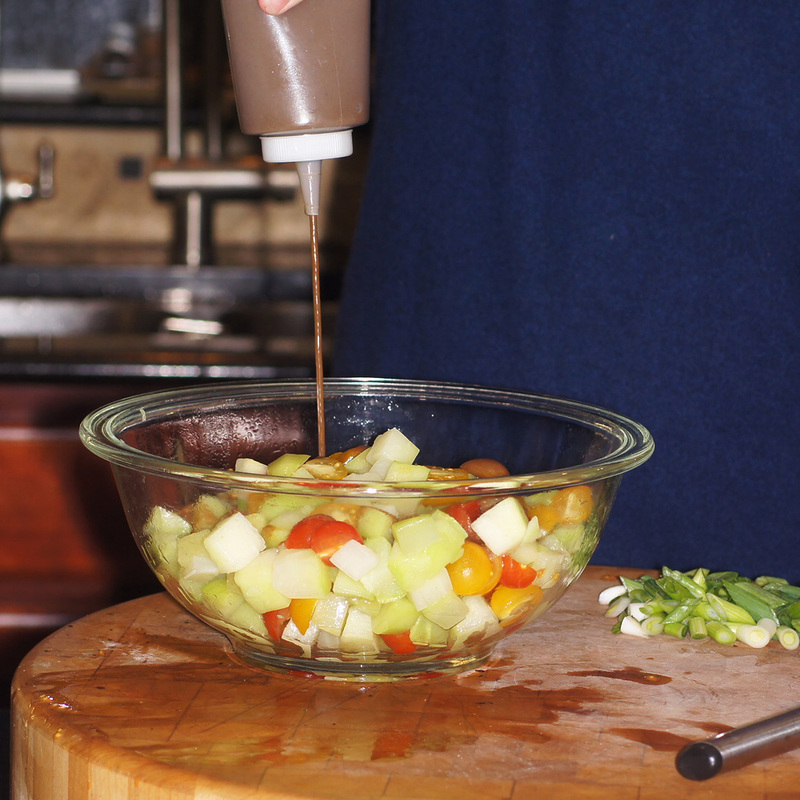 You will absolutely love this salad and the dressing is wonderful with a variety of other uses, i.e. veggies and sandwiches. It’s so good we made it a separate post so you need to reference to it. 😮 The whole salad is simply killer. So you must make this dish. You will be glad you did and here’s how. 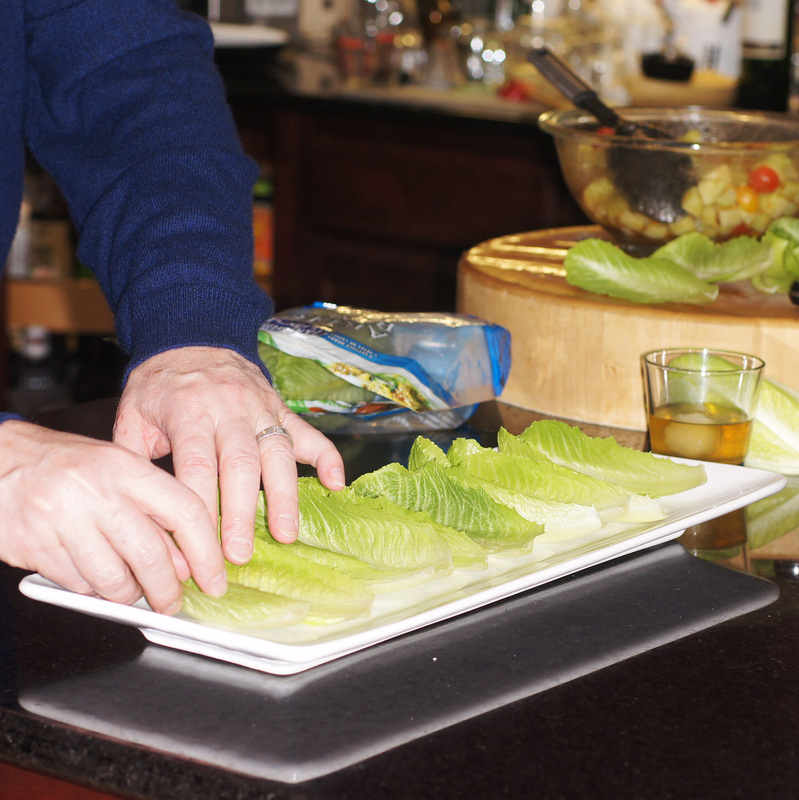 Peel the chayote, cut in half lengthwise and remove the pit. 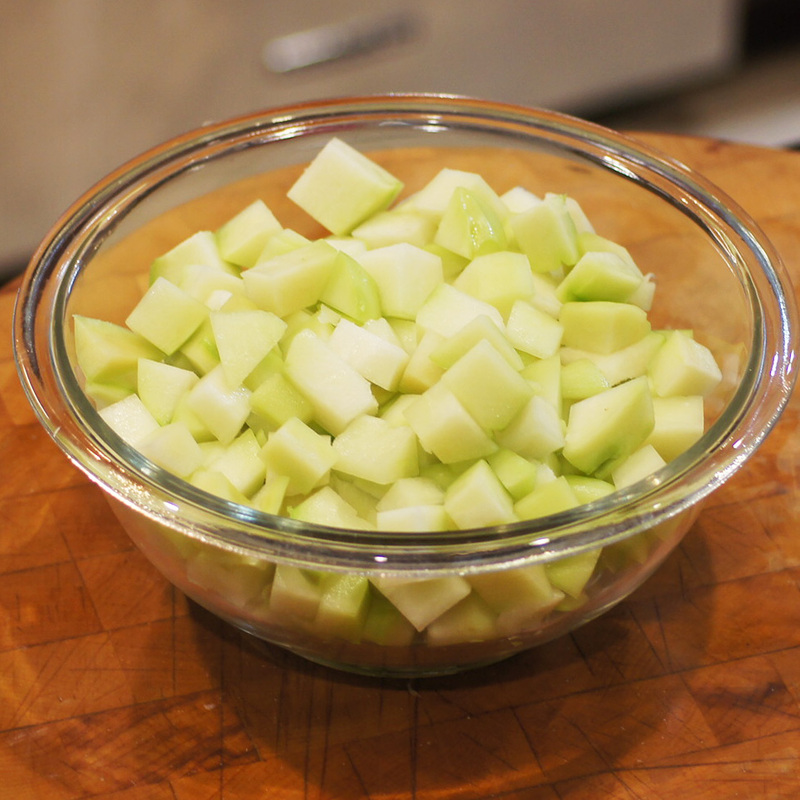 Cut the chayote into 1/2 inch cubes and put in a glass bowl. 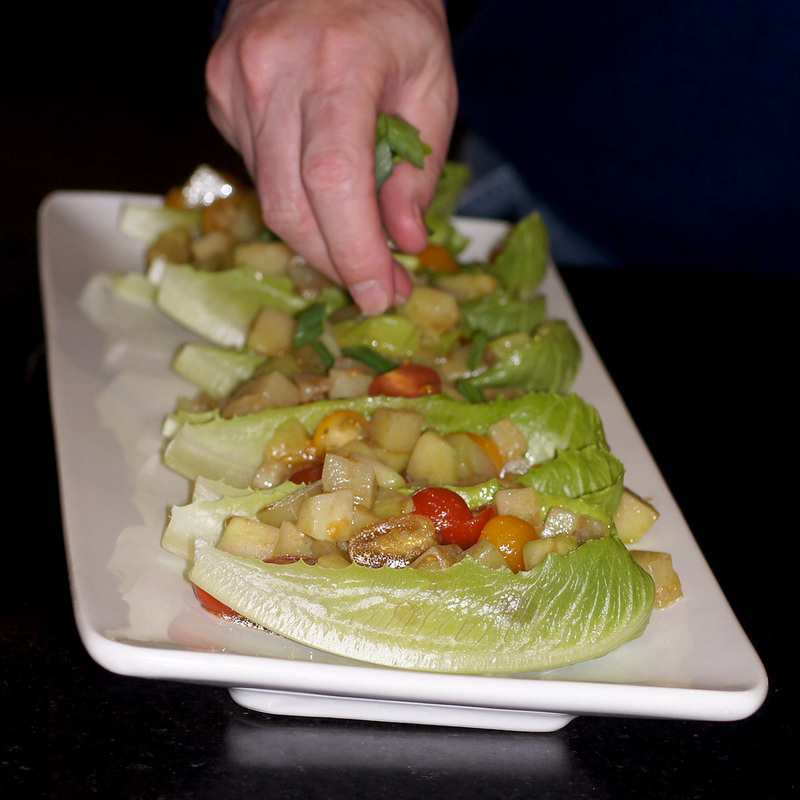 Spoon the chayote, tomato salad atop the leaves. Sprinkle with the green onions. Finish with a sprinkling of cotija cheese. I have never seen a chayote. Very nice presentation Richard. That is just beautiful Richard! 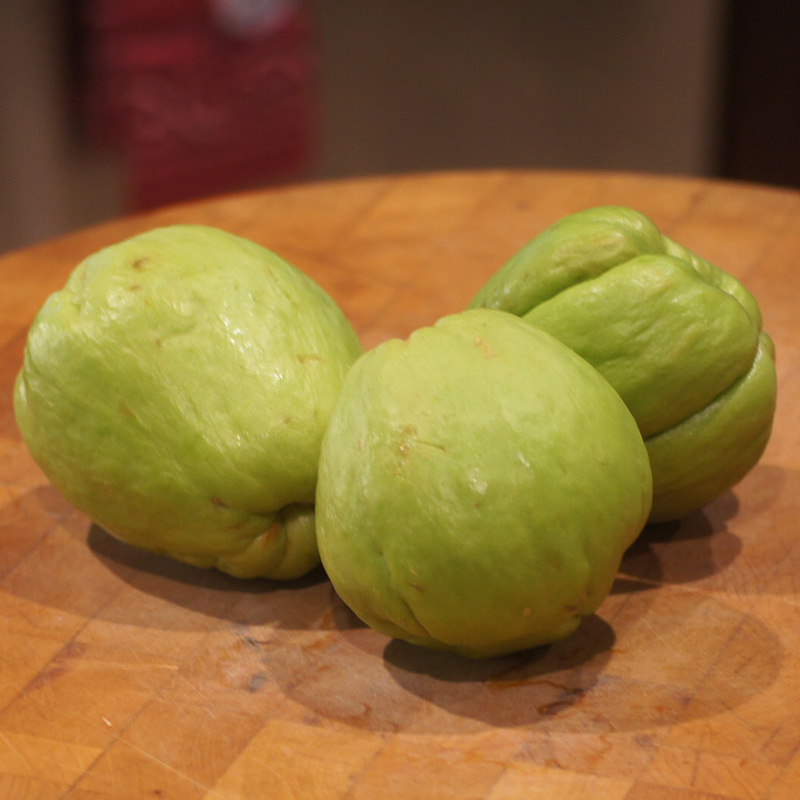 I never tasted chayote, and I’ve never seen it, but hopefully when it comes this far north, I’ll now know what to do with it! Oh my goodness, just look at that presentation! I think my local grocery that caters to our Hispanic population carries Chayotes. I’ll have to look next time I’m there. Looks great, Richard, and I can only try to inagine what it tastes like as this the first time I’ve ever heard of chayotes. Doesn’t seem to have anything to do with coyotes 😉 I’ll go check out the dressing now. This must be quite local to southern USA. Three of those ingredients seem completely foreign to me! But the salad does look good. Must visit your part of the world :).